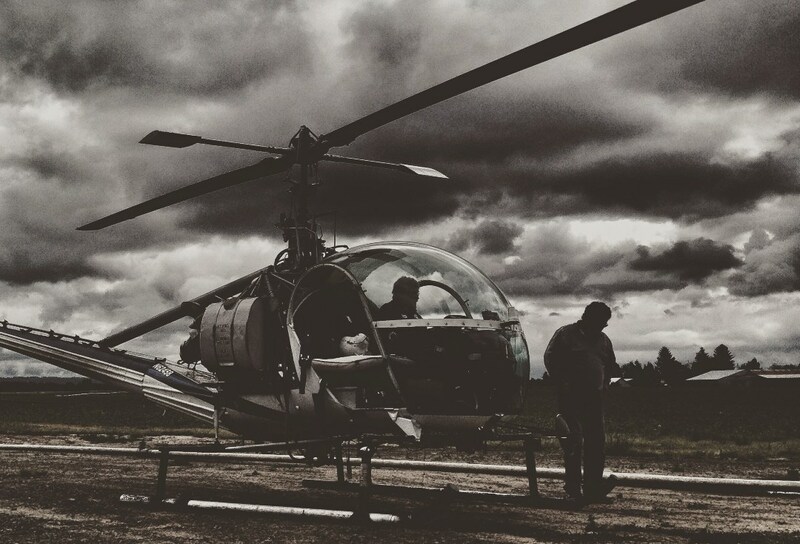 Oregon Seed Certification is one of dozens of Certification Agencies across the country and the world, but we are the only one that utilizes helicopters to complete crop inspections. The Willamette Valley is a unique growing area suitable for growing vegetables, ornamental nursery crops like trees and shrubs, and the most common crop, grass seed. About 25% of the acreage in the Willamette Valley is in grass seed production, and OSCS certifies about 280,000 acres annually. Most of those acres are flown at about 15 feet above the field canopy. Given the rising acreage and short window of pollination, Oregon Seed Certification implemented the use of helicopters in the 1970s for Highland bentgrass. Inspectors quickly found the speed and efficiency of their work improved significantly. Over the years they have continued to enable OSCS to provide timely and accurate reports to our clients. Each inspector will correctly identify the fields and any hazards on their flight maps. Great care is taken to be sure that all wires and other hazards are labeled. Then, based on fields signed up for inspection, the path and order the fields will be flown is created. Helicopter crews consist of three people: the pilot, the navigator, and the note taker. The inspector whose area is covered, and who created the map, primarily navigates, while another inspector takes notes on the field. A certified crop inspection requires checking for uniformity across the crop, weed problems, and looking for sources of pollen contamination. In addition to looking for those things, each crew member is watching for hazards at all times.